Two vaquita surfacing. Photo by Paula Olson/NOAA. Found only in Mexico’s Gulf of California (Sea of Cortez), the vaquita is the smallest member of the family that includes all whales, porpoises & dolphins. The vaquita is also the world’s most endangered marine mammal. Based on the latest population estimates, it is likely that less than 60 animals remain in the wild. Already in 1978, only 20 years after the vaquita was first described in scientific literature, the species was considered in trouble and declared “vulnerable” by the International Union for Conservation of Nature (IUCN). Since then, the Mexican government and international NGOs have tried a lot to reverse the steady decline of the vaquita’s small population. But time is now running out, and emergency measures are being planned to save the species. Why is the vaquita endangered? Why is by-catch in fishing nets an issue for porpoises? The single biggest threat for vaquita are gill-nets in which the animals get entangled as by-catch and drown. Gill-nets are banned throughout the vaquita’s range, but enforcement of that ban has proven difficult and illegal fishing continues, particularly for a large species of fish, the totoaba. The totoaba (Totoaba macdonaldi) is a large species of fish native to the Gulf of California in Mexico. Like the vaquita, it is listed on the IUCN Red List of Threatened Species as “critically endangered”. Illegal fishing has driven this species to the brink of extinction and as the gill-nets used in this fishery allow vaquita to get entangled, it is also responsible for the vaquita’s decline. The totoaba is being sought after for its swim bladder, which is considered a delicacy in China where a single swim bladder can command a price of US$10,000 on the black market. Active fishing gear is just as dangerous as abandoned gear. “Ghost nets”, forgotten or abandoned at sea by fishermen, are particularly difficult to detect. They can continue to catch fish, seabirds and even larger mammals like the vaquita a long time after they are abandoned. The weight of a full net lets it sink to the bottom where the fish caught in the net are consumed by bottom-dwelling crustaceans or other fish. The empty net then floats to the surface where the cycle continues. As air-breathing mammals, vaquita can drown within minutes. During a recent mission that took place in the Sea of Cortez between October 10 and December 7, 2016, on a route covering 11,814 kilometres, 136 pieces of fishing gear were located and 103 of those were successfully removed. This endeavour was part of an ongoing collaboration between Mexican navy, conservation groups and local fishermen. Shortly after, on December 15, 2016, Mexico’s Environmental Protection Agency (PROFEPA) announced that with the support of the Mexican Navy it had seized 8 pangas (a type of small fishing boat), 5 of which were used to fish with gill-nets. There is nothing else we need to worry about other than gill-nets. If we remove the gill-nets, we will likely save the vaquita. If offenders are not caught red-handed, the process to remove nets can be quite laborious: The nearly invisible nets are often first located by local fishermen with small boats. GPS positions of any findings are then recorded before the nets are finally removed with larger vessels and the help of special equipment. Mexico’s Ministry of the Environment and Natural Resources announced in a press release on December 15, 2016 that as part of its strategy to protect the vaquita and prevent its extinction, the program to remove fishing gear from the vaquita habitat was to continue without interruption. This effort remains a priority for the Mexican government and international NGOs working to conserve the vaquita. While enforcement of the gill-net ban and the removal of derelict fishing gear remain a priority, experts with the International Committee for the Recovery of the Vaquita (CIRVA) are committed to pursuing every conservation option available. One of these options is to capture a number of vaquita and to place them in a habitat safe from any threats. This is meant to provide extra time to remove nets from the range of the vaquita. A captive breeding program could also help supplement the wild population or serve to repopulate the vaquita’s natural habitat once it is deemed safe for the animals’ return. Lorenzo Rojas-Bracho, chairman of the International Committee for the Recovery of the Vaquita, told the Associated Press that an international team of experts was already being assembled that would launch a capture program in the spring of 2017. 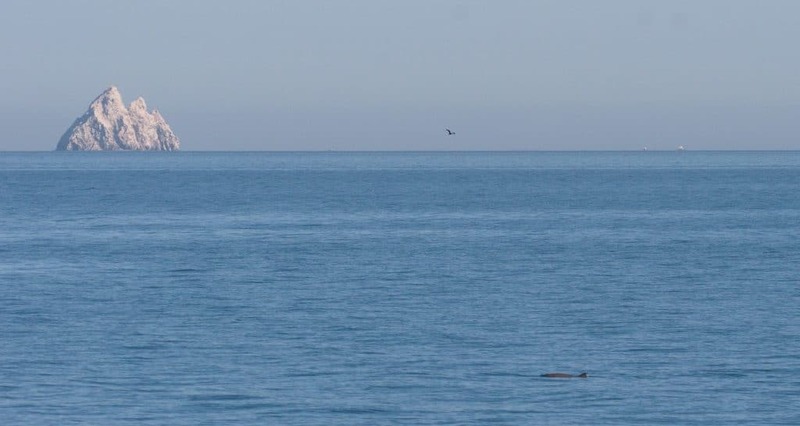 Difficult to spot and even harder to catch: a single vaquita in the Sea of Cortez. Photo by Paula Olson/NOAA. This undertaking is not without risk. No vaquita has ever been captured or held in captivity for any length of time. Nobody really knows how the animals would handle the stress of capture and transport and how they would fare in a captive environment. There are indeed some voices that argue that the capture program could be detrimental to the conservation effort. 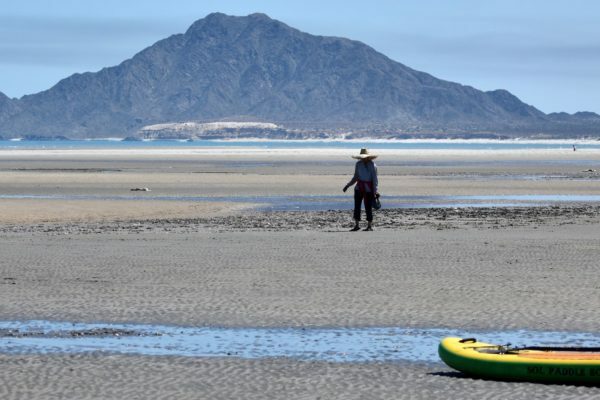 But as reports of an increased rate of decline are sinking in, there is a justified fear that extinction might be imminent, and experts agree that if an ex-situ (outside the vaquita’s natural habitat) conservation effort were to succeed, it would have to begin now. In a workshop that took place in Harderwijk, Netherlands in early September 2015, a group of international experts examined the possibility of an ex-situ conservation effort for the vaquita. 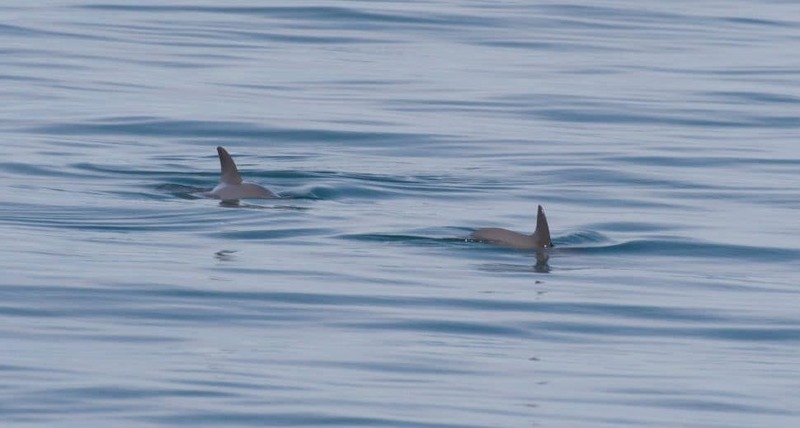 In their report to CIRVA, they concluded that the most difficult part would likely be the capture as vaquita are so rarely observed and therefore difficult to locate. Once some vaquita have been successfully captured, tagged and released to test capture methods and to find potential hot spots for future capture attempts, the search for short-term holding and long-term care facilities could begin. 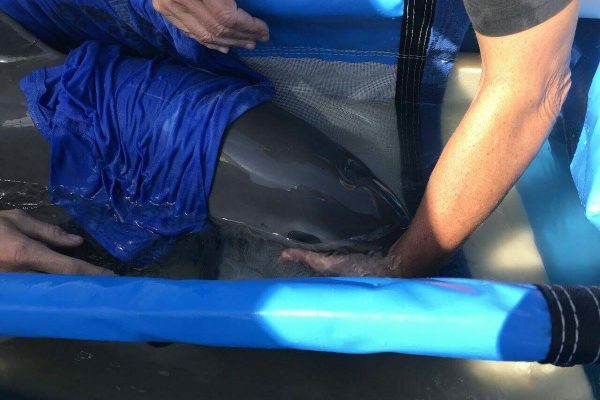 This is also when funding could be secured and preparations could begin to launch an effort to capture and transport vaquita for long-term care. Captured animals would be closely monitored and healthy animals would be released immediately if they showed signs of discomfort in captivity. The report also recommended, based on experience with other porpoise species, guidelines for transport, housing and animal care. CIRVA chairman Rojas-Bracho said about the team being assembled that it was ‘the best that can be put together’, calling it the ‘dream team’ in an interview with Associated Press. 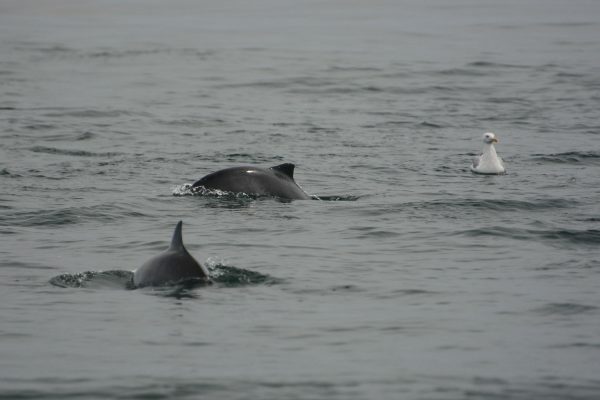 This team is to include experts that have previously worked with other species of porpoise and already have significant experience with capture, transport, housing, veterinary care and reproduction of porpoises. While no vaquita have ever been captured or held in captivity, there has been some success with the rehabilitation of harbour porpoise in Europe and North America, and with the translocation of finless porpoise in China as part of a conservation program for that species. Successful capture and release of wild harbour porpoise for scientific purposes has been documented in Europe, and animals have been handled, tagged and released following accidental entanglement in Denmark. In the Netherlands, SOS Dolfijn routinely rescues and rehabilitates harbour porpoise for release. Despite the fact that many of the animals they take in are not in good health, they do have a relatively high success rate, even after long-term rehabilitation. There has also been some success with harbour porpoise in North America. In 2008, staff with the Vancouver Aquarium Marine Mammal Rescue Centre in Vancouver, Canada rescued a stranded and still nursing female harbour porpoise (aged 4-6 weeks) which was later deemed non-releasable by federal authorities following rehabilitation. The animal named “Daisy” is now a fully-grown adult (8 years old) and still lives at the Vancouver Aquarium. In 2013, the same organization rescued, rehabilitated and then released an older harbour porpoise named “Levi”, which following its return to the ocean showed natural behaviours while being tracked, indicating a successful release. “Daisy”, a female harbour porpoise at the Vancouver Aquarium, rescued as a neonate following stranding in 2008, now 8 years old. The critically endangered Yangtze finless porpoise (Neophocaena asiaeorientalis asiaeorientalis) in China is an example of a successful ex-situ conservation effort. The wild population is declining as a result of habitat degradation, mortality from ship strikes and by-catch and only about 1,000 individuals remain. To conserve the sub population, a limited number of animals were captured, transported to a safe habitat (two adjoining lakes) and released there. Reports indicate that the animals are successfully reproducing and that the population has increased rapidly over the last few years, from about 8 animals in 1998 to over 60 today. 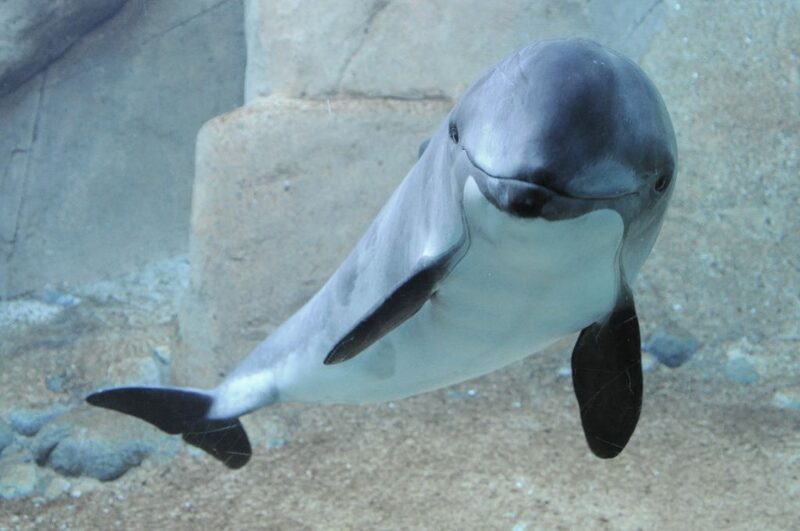 Both finless and harbour porpoise have also been bred successfully in captivity. LORENZO ROJAS-BRACHO ; RANDALL R. REEVES ; ARMANDO JARAMILLO-LEGORRETA (2006). Conservation of the vaquita Phocoena sinus. Mammal Review. CIRVA (2016). Seventh Meeting of the Comité Internacional para la Recuperación de la Vaquita. .
Wang, Ding (2009). Population status, threats and conservation of the Yangtze finless porpoise. Chinese Science Bulletin. WANG, Ding ; HAO, Yujiang ; WANG, Kexiong ; ZHAO, Quingzhong ; CHEN, Daoquang ; WEI, Zhuo ; ZHANG, Xianfeng (2005). The first Yangtze finless porpoise successfully born in captivity. Environmental Science and Pollution Research. Schofield, David T. ; Early, Greg ; Wenzel, Frederick W. ; Matassa, Keith ; Perry, Cindi ; Beekman, Gerry ; Whitaker, Brent ; Gebhard, Erika ; Walton, Wendy ; Swingle, Mark (2008). Rehabilitation and homing behavior of a satellite-tracked harbor porpoise (Phocoena phocoena). Aquatic Mammals. Westgate, Andrew J. ; Read, Andrew J. ; Cox, Tara M. ; Schofield, T. David ; Whitaker, Brent R. ; Anderson, Kurt E. (1998). Monitoring a rehabilitated harbor porpoise using satellite telemetry. Marine Mammal Sci. The Porpoise Conservation Society is a non-profit society dedicated to the conservation of porpoises and their habitats. Support our efforts to raise awareness for the critically endangered vaquita and its six relatives around the world.